Dollar Tree has all of your Easter Essentials for less! Hop on over and view their Easter baskets and pails for kids, and fill them with great basket stuffers including fun toys and plush animals. 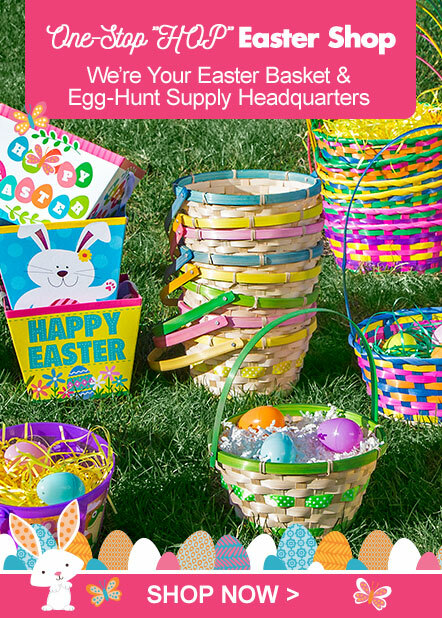 They also have Easter grass and plastic eggs for egg hunts, along with cute craft ideas and Easter projects. And don’t forget the Easter treats! They have a variety of candy to fill baskets and eggs. Remember, all items are only $1 each! 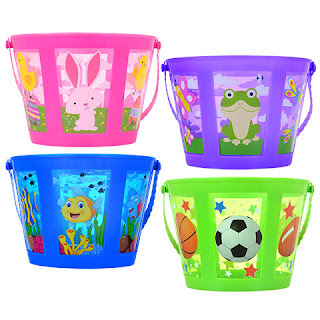 Dollar Tree has an adorable collection of colorful baskets and whimsical pails in a variety of shapes, sizes, and designs. These unique plastic Easter baskets are great if you are looking to replace traditional woven baskets. They have clear sides with individual panels that are decorated with fun Easter scenes. Dollar Tree has a great assortment of non-candy as well as sweet treats to satisfy anyone. Whether you are putting together a basket for young children, a teenager, spouse, or friend you will find lots of fillers to chose from. Plush Floppy-Eared Easter Bunnies, 8 in. Fuzzy, cuddly, and soft — precious little floppy-eared bunnies are the perfect companion to Easter baskets. 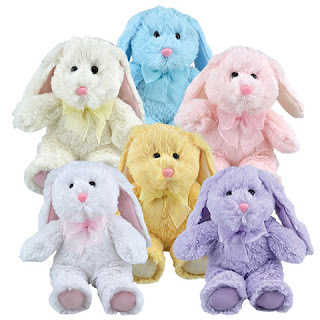 Plush bunnies with huge floppy ears each have an organza ribbon tied around their necks and come assorted among pink, white, yellow, ivory, blue, and purple, and also make great gifts and decorations. When warmer weather beckons, it's time to gear up for some bubbly fun! 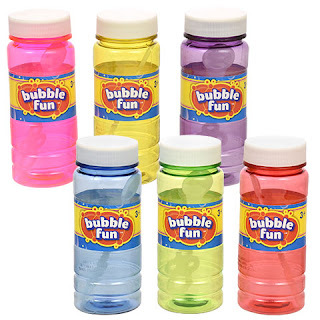 An all-time favorite for children, bubbles are a must-have for schools, day care centers, home, and so much more. 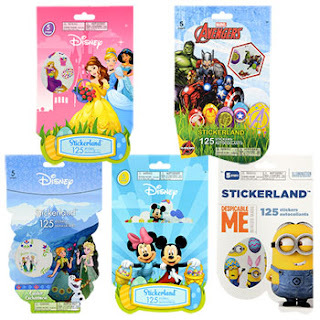 Includes a huge assortment of stickers packed full of your kids' favorite cartoon friends! Great for kids who love putting stickers on everything, and can be a teacher’s best friend for grading papers, homework, and tests! Each book contains 125 stickers. 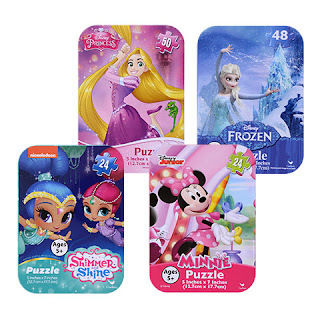 Fun puzzle play time with your favorite cartoon pals! The colorful finished pictures will captivate even beginner puzzlers and are packaged in pocket-sized tins to make them easy to carry anywhere. Finished puzzle size is 7x5 in. Ideal for schools, churches, care packages, camps, and resale. 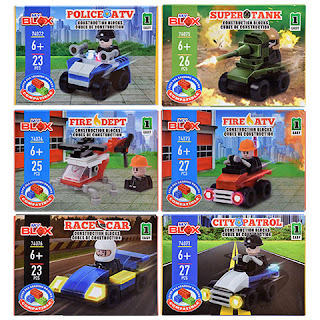 There's hours of fun to be had building and playing with these fun little kits. Plus, kids can mix and match the components from each kit to build their own creations. Construction blocks are also compatible with other leading brands of building blocks for even more creative options! Perfect for stocking stuffers, party favors, and building block collectors. Peanut butter filled bunnies are the perfect addition to every Easter basket. 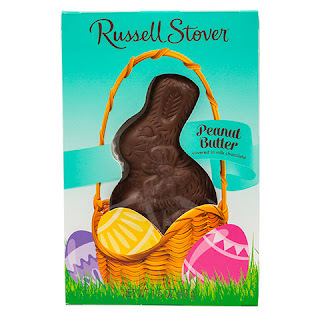 Large bunny-shaped, chocolate-covered peanut butter candy is also a wonderful addition to care packages and make well earned Easter egg hunt prizes. 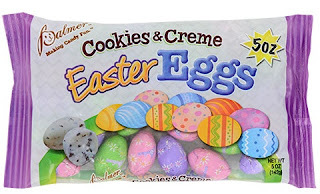 Colorful foil-wrapped cookies & cream flavored candy eggs are an egg-cellent addition to any basket, goodie bag, or prize box! Wrapped up in pretty hues of spring, they’re also great for resale and care packages. 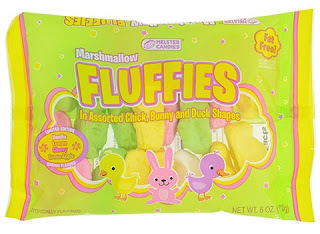 Light, airy, chewy treats are shaped like chicks, ducks, and bunnies, and have a texture similar to that of a dense marshmallow. Each bag comes assorted among 4 flavors: vanilla, lemon, cherry, and green apple. Perfect anytime you need a sweet fat-free snack, or for filling those candy dishes at home. Visit Dollar Tree's Easter Shop to create your own fun Easter baskets! this is SUCH a great idea- def going to do this for my little ones! such a great idea! I love dollar tree so much, especially for the holiday stuff like this!! We dont have a dollar tree but I do know a place where we can get great things for Easter.